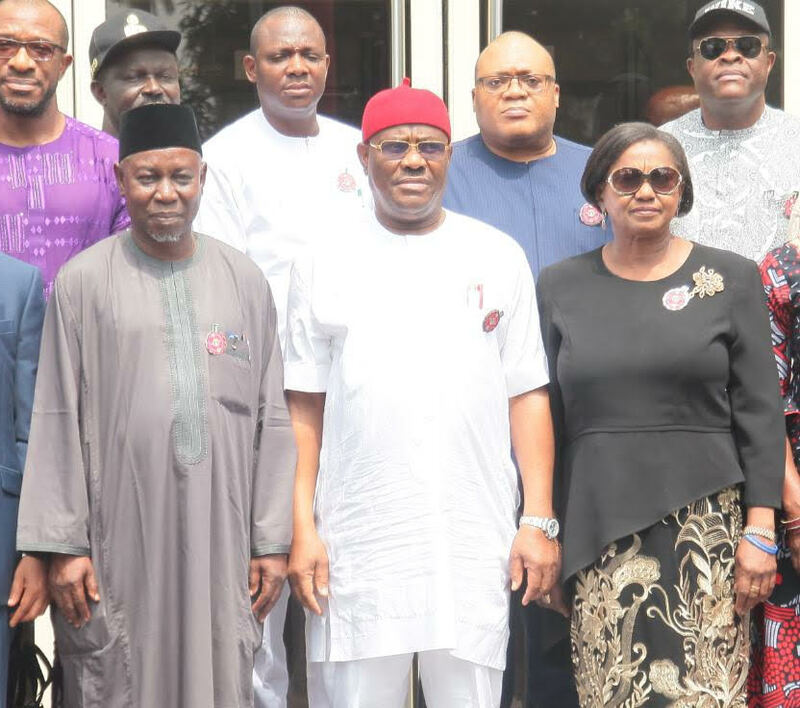 Rivers State Governor, Nyesom Ezenwo Wike has decried the deliberate neglect of the Niger Delta, despite the fact the region is suffering untold environmental hardship for keeping the country afloat. Speaking during a courtesy visit by the Minister of Environment, Mr Suleiman Hassan Zarma at the Government House Port Harcourt on Friday, Governor Wike said that environmental degradation caused by oil exploration is worse than insurgency. He urged the Federal Government to withdraw funds from the Excess Crude Account to address the environmental challenges in Ogoni-land. The governor said it should be done in same manner that funds were withdrawn to tackle insurgency. “They took $1billion from the Excess Crude Accounts to fight insurgency. I say they should take $500million from the Excess Crude Accounts for the Ogoni Clean up Exercise “. “If you had told me earlier that you were coming, I would have provided a helicopter for you to fly over Ogoni land. You will weep at the level of environmental damage “, the governor said. The governor regretted that the Ogoni Clean up Exercise has been politicised, pointing out that the Ministry of Environment is handing over sites to contractors three years after Vice President Yemi Osinbajo flagged off the exercise. He said the two activities took place as elections approached. “Three years ago, the President represented by the Vice President flagged off the clean up during the rerun elections. One month to the general elections, the Minister of Environment has come to hand over the sites. “If I tell you I believe sincerely that you people want to clean up Ogoni land, I am telling you lies. Surprise me and prove me wrong “, he said. He called on the Minister of Environment to investigate cases of deduction of funds from contracts awarded for the clean up Exercise. The governor urged the Federal Ministry of Environment to ensure the benefiting communities are patronized during the clean up and all approved steps taken by HYPREP. In his remarks, the Minister of Environment, Mr Suleiman Hassan Zarma assured that the Ministry working with Hydrocarbon Pollution Remediation Project (HYPREP) will ensure that the clean up of Ogoni land is carried out. He said that the Ministry will take deliberate steps to address the concerns raised by the Rivers State Governor. He said: “We are here to set the tone to enable the foundation laying of a robust inter-governmental collaboration which you have been doing especially in the environmental sector “. He informed the Rivers State Governor that he was in the state to commence the hand over of sites for the commencement of the clean up Exercise.